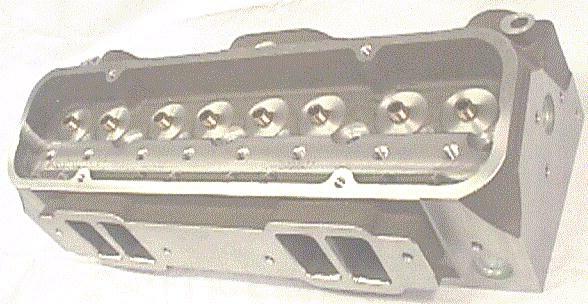 The ultimate Pontiac Race head ! ! Capable of 400 cfm intake flow. Intake ports measure 1 3/8" x 2 3/8"
Will accept 2.300" intake and 1.800" exhaust valves. Raised exhaust ports for superior flow. have been moved 1/2" outward. Requires minimum bore size of 4.25"
Get yourself ready for the next season now!